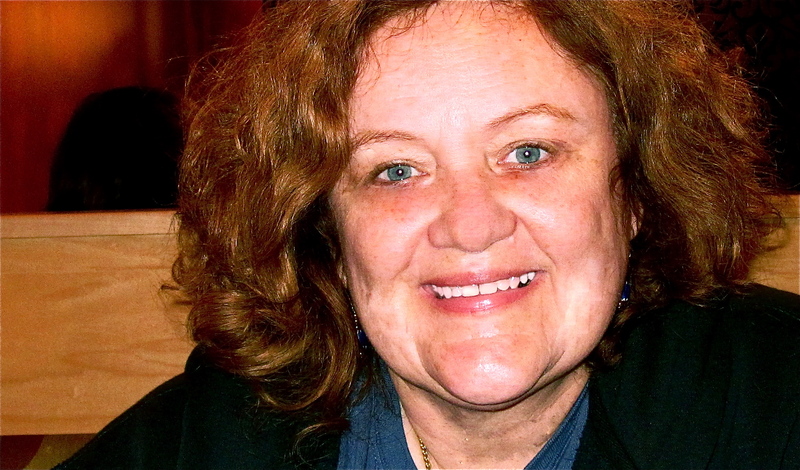 Anene Tressler-Hauschultz is an award-winning fiction and poetry writer whose work has appeared in Best of Writers at Work anthology, The Distillery, Treasure House, Currents, River Blossoms Lit Mag and Word Wright’s. While at UMSL, she won the English Department’s annual prizes for fiction and for poetry and she has studied with Richard Bausch at Johns Hopkins, Nicholas Delbanco at Breadloaf, Claire Messud at Sewanee, Lorrie Moore at Vermont Studio Center, and Robert Olmstead at Rappahannnock. She also attended two workshops at the University of Iowa’s summer program and spent a month at Wellspring House in Massachusetts. Most recently, she has taken two semester-long poetry classes with David Clewell, poet laureate of Missouri. She holds undergraduate degrees in Communications and Nursing from Saint Louis University, Masters Degrees from Washington University and the University of Missouri, St. Louis, and she teaches scriptwriting and media writing as an adjunct professor in the School of Communications at Webster University. After making a change in focus from fiction and poetry to running a successful company specializing in corporate communications, print and film/video production and meetings, she is back hard at work in the world of literature. Father Whiting is a mess. As a St. Louis priest and the head of pastoral care at a local teaching hospital, he’s already on edge wondering if he’s up to the job and wondering how far his predecessor’s—and now his— secretary will go to sabotage him. He fears he is incapable of ministering to an old friend and fellow priest stricken with cancer, and he secretly longs to share everything about his confused, mixed up life with Sarah James, the hospital’s head of public relations. When he overhears a heated argument between the Chairman of the Board and the Abbess who runs the hospital, he fears his job will soon be history. Instead, he finds himself tapped to minister to a small South American circus bequeathed to an order of aging nuns in St. Louis. And that’s when his already beleaguered life begins to unravel. Wow! Congratulations on your achievements as a writer! I’m a rising sophomore in high school who loves creative writing. I’ve been looking through writing blogs to be inspired and hopefully learn some more about the art. I loved reading your poem “On Seeing the AIDS Quilt at the Field House.” Your blog is great! I’m looking forward to reading more from you. How are you, you probably don’t remember me but we shared a sailboat in the islands once!! I was just reading your story you wrote about it and decided to gogle you! Before you morph into Anne Tyler or become a total recluse like J.D. Salinger, would you consider showing up at a book club gathering in St. Louis to interact with a group of 6-10 women. I’m going to choose your book for our June meeting and it would be great to meet you. 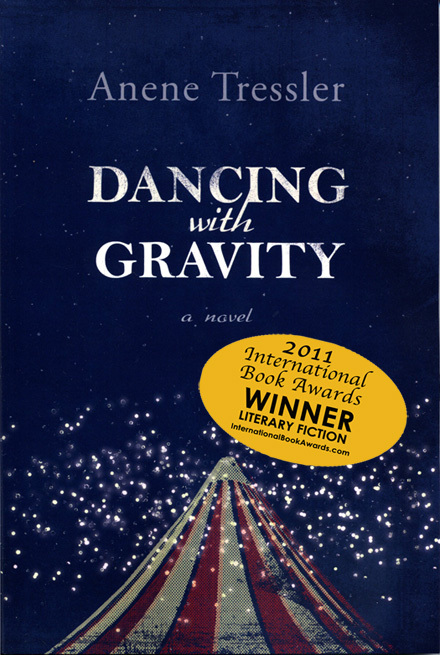 Gail R.
Thank you so much for sending me your book Dancing with Gravity. Any book Marilyn Stavenger recommends is certainly worthwhile, and I’m looking forward to reading it. Our church’s book club has books scheduled for the rest of this year, but I’ll put it on the “to be considered” list for next year. I’m interested to hear that you learned of our church from Tom Franklin. He and his wife – a poet – are members, and he will be visiting with our book club in August. If you haven’t yet read Crooked Letter, Crooked Letter, I certainly recommend it. How did you learn about our programs here? We do try to get word out to our community, so I’m always interested in knowing what is reaching people. I had spent this morning dealing – finally successfully – with computer problems, so your book really brightened a rather unpleasant day. Thanks so much! Im Jack Stevens. We were friends through your brother John. I have thought of you over the years & wondered what ever happened to you & Johnny. It appears life has been going well for you. I am glad to hear that. Your sweet Mom gave you a strong foundation. I’m on Face Book if you would like to recconect. assuming you remember me. It WAS a 100 years ago. I used to look forward to your letters when I joined the Air Firce in 1972.